The all-electric Chevrolet Bolt EV, which has been rated at an exceptional 383 km (238 miles), has also been given a fairly exceptional price-tag in Canada - $42,795 CAD (+$1,600 dst). 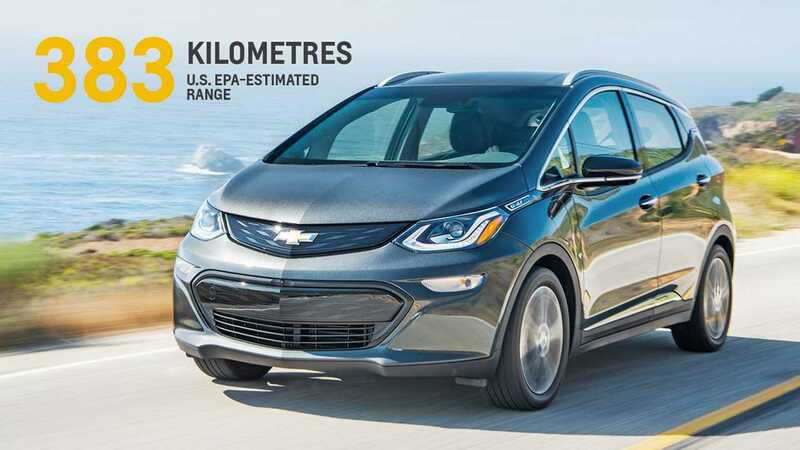 We say exceptional because, while Canadians typically get the short end of the stick for pricing compared to the US, the Canadian pricing is a decent savings over the $37,495 USD the Bolt EV was recently priced at in America. With an exchange rate (at time of press) of 1.32 Canadian dollars equaling $1 USD, the Canadian pricing translates to $32,420 in the US. Also of note, the Canadian base pricing includes DC fast charging, which is a $750 option ($990 CAD) in the US on the base model. So one might say the Canadian price is equal to $31,670 USD - some $5,825 cheaper. "The base LT trim comes with standard features that include, among others, Regen on Demand™ steering wheel paddle, rear vision camera, 10.2” diagonal colour touch-screen and MICHELIN™ Self-sealing tires. The top trim Premier includes all LT equipment plus additional standard features such as leather-appointed seats, front and rear heated seats, surround camera and rear camera mirror." In 3 Canadian provinces with rebate programs, the news is ever better (especially in Ontario), where the pricing is reduced further. In Ontario, when applying the $12,839 rebate, the Bolt EV should lease from around $325 ($250 USD) with little down (~48 months) - a significant result indeed. Unfortunately, that number will double for those finding themselves in locations with no rebates available. Update (January 2017): Ontario has adjusted its rebate program. Now instead of the value being capped at 30% or $14,000 - whichever is lower, the 30% cap has been removed. Meaning of course that the entry level Chevy Bolt EV just cheaper! 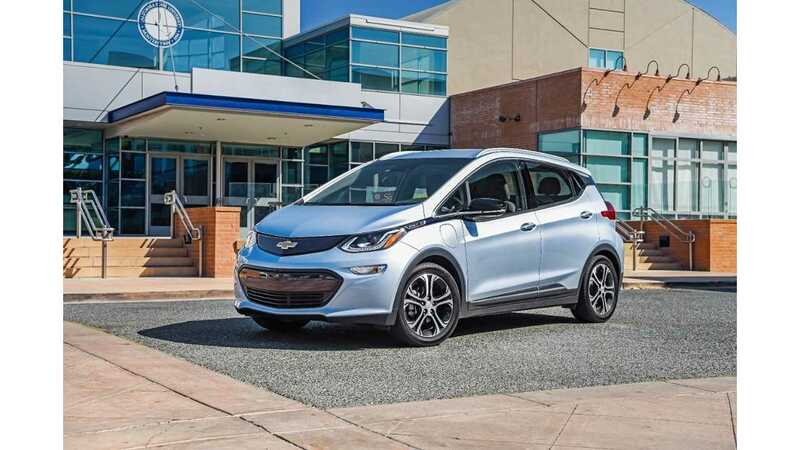 With the pricing set, the Bolt EV has now become the plug-in vehicle "value" champ in Canada when accounting for its abilities, as even its sister-car, the Chevrolet Volt is priced from $38,490 CAD, while the Nissan LEAF (30 kWh - 172 km) is priced from $37,398 CAD. 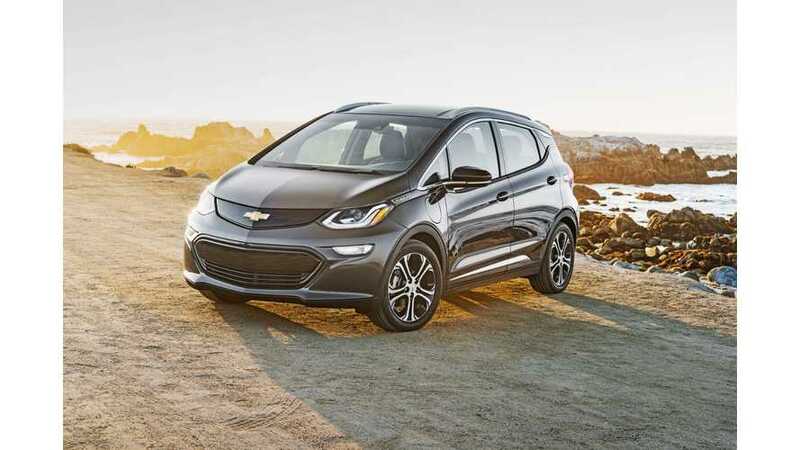 “Value is a hallmark for Chevrolet and the pricing of the Bolt EV proves we’re serious about delivering the first affordable EV with plenty of range for our customers. We have kept on our promise yet again, first on range and now on price.” - Alan Batey, president of GM North America and leader of Global Chevrolet. 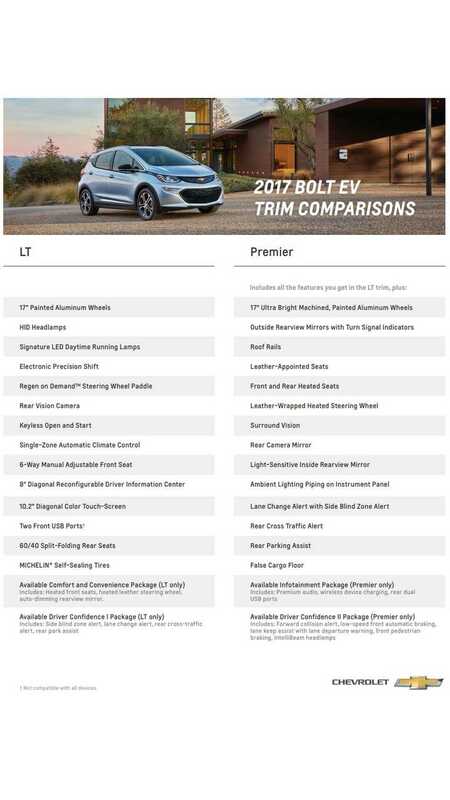 Pricing on the Premier trim was not announced, however the Bolt EV's release timing was. GM says to expect the Bolt EV in Canada in early 2017. This date is also significant for those in the US outside of the initial "select dealership/states" roll-out, as it shows GM plans to quickly have the Bolt EV available throughout North America.